The MBX SDK provides connectivity to Modbus, Modbus Plus and Modbus/TCP networks and devices from 32-bit and 64-bit C, C++, and C# applications. The software provides access to Cyberlogic's high-performance MBXAPI, MBXAPI.Net, and Modicon's NETLIB interfaces for rapid development of applications targeted for all 32-bit and 64-bit Windows operating systems. 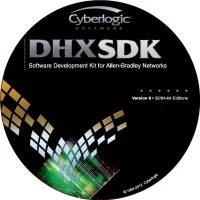 The SDK includes interface libraries, sample source code, full documentation and all drivers to test applications. 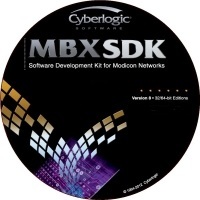 All software applications developed with the MBX SDK are compatible with all MBX products. The MBX SDK comes with a copy of the MBX OPC Premier Suite which includes the MBX Driver (for all Modicon Modbus Plus network adapters), the MBX Gateway (for remote access to all Modicon networks), the Ethernet MBX Driver (for Modbus TCP/IP), the Serial MBX Driver (for Modbus communications), the Virtual MBX Driver (for enabling 16-bit legacy applications in 32-bit Windows), the MBX OPC Server, and Math & Logic.